Adventures In Linux: Why Intel Steams Me! Grrrr!! Why Intel Steams Me! Grrrr!! Intel® currently has no intention of opening a Linux subforum. The Intel linux drivers are developed by the linux community as well. Basically "We could care less about the new ground swell of Linux based gaming. If you want it to work fix it yourself." As a Linux user this much is obvious as it is what Linux is all about...DIY. But Linux is also about communities, about little pockets of users with similar interests coming together to resolve their specific issues. When Intel's official response to making a forum community to help Intel GMA chipset users get their game on is PISS OFF, well it pisses me off. 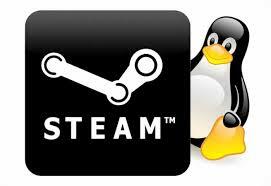 TL;DR - Intel should not ignore the up and coming Linux gaming community. Instead they should embrace the community and provide just that, a community space for Linux gamers to congregate.